Set of 7 rings of rainbow colors. 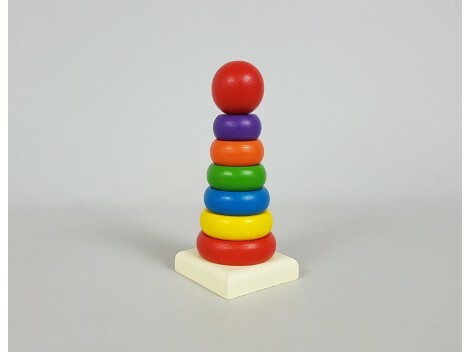 It encourages the game of stacking and fitting and fine motor skills in the smallest of the house. 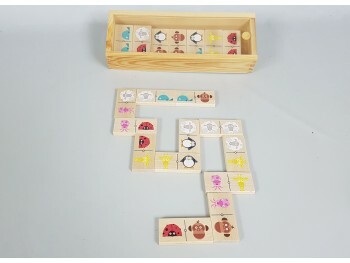 Ideal for early attempts to make puzzles or constructions. Very used for didactic purposes. 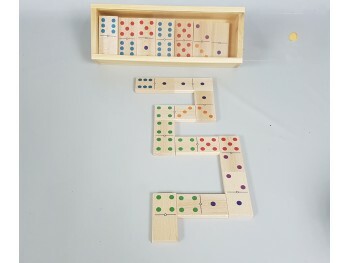 The structure measures 15 cm long. The base is 6.5x6.5 cm. 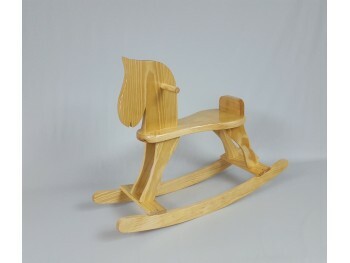 It contains 7 pieces of painted wood and a white wooden base. 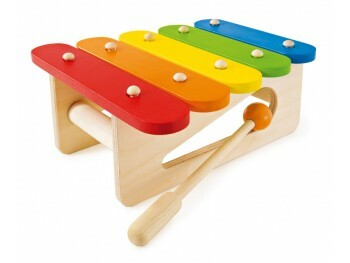 Musico - Xylophone Making the first soundsClink, clank, clink – with the wooden mallet you can create great sounds on the colourful bars. Red first, then blue, then yellow: So much fun! 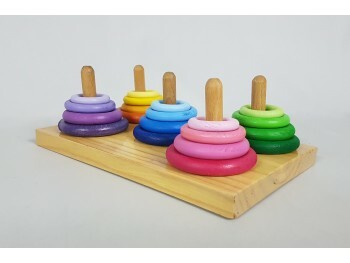 A musical toy that promotes rhythmic awareness and coordination. 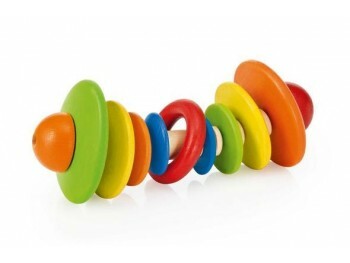 Multicolor wooden rattle Selecta Measurements: 12 cm. 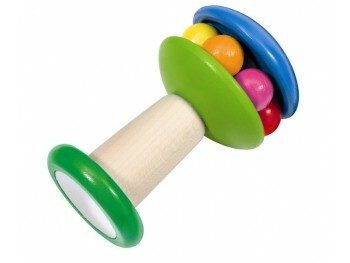 Age: 0+ months This lovely rattle baby captures attention with its brightly colored discs that moves but can not fall. Encourage children to explore both optically and acoustically. 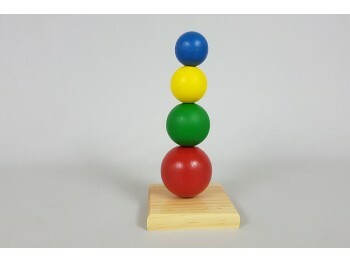 Set of small wooden tabletop lace balls. It encourages the game of stacking and fitting and fine motor skills in the smallest of the house. 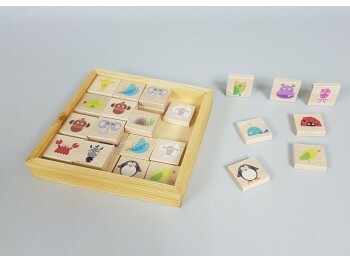 Ideal for early attempts to make puzzles or constructions. Very used for didactic purposes. Recommended from 3 years. 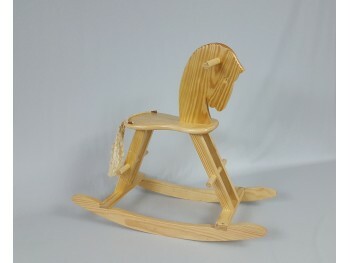 Measures long 20 cm. , The base is 9.5x9.5 cm. Find the pairs of characters to be able to associate the same animals. The one who collects the most pairs wins! From 1 player. Put all the tiles backwards. Contains 32 pieces, 16 pairs.